A consummate professional who brings energy, passion, and talent to every production. Greetings, and thank you for taking the time to read about me. 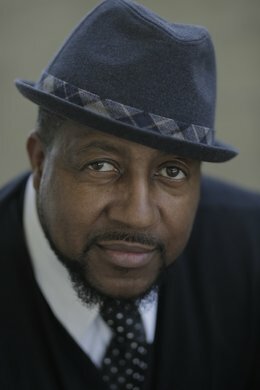 My name is Edward Jackson, but everyone calls me “Uncle Ed.” I’m an actor, writer, comedian and voice-over artist (at least I’d like to think so). To keep a very long story short, I’d started performing at a young age, but, like many people, got sidelined with the harsh realities of adulthood. Now, after several children, mortgage and tuition payments, and a recent brush with my own mortality, I’m now pursuing my dream with renewed vigor. Even though I have performed in several dramatic roles, my greatest passion is making people laugh. It’s a natural part of me, it’s just who I am, and I am thankful that I again have the opportunity to pursue my passion. My CV, production stills from various films and shows I’ve worked on, my demo reel, and other pertinent information about me is available here. I welcome any opportunity to work on projects that allow me to showcase my talents. I bring professionalism and a strong work ethic to any project I’m involved in. I know there are thousands of actor profiles on the Internet, and am grateful that you chose to visit mine. Please don’t hesitate to use the contact form to reach out to me to discuss opportunities. Again, thank you, and God bless. I look forward to hearing from you! Copyright © 2019 Edward L. Jackson. All Rights Reserved.